There are few games out there that I’d consider playing through again. Grand Theft Auto V however, is one such game that I’d happily repeat-offend my way through. 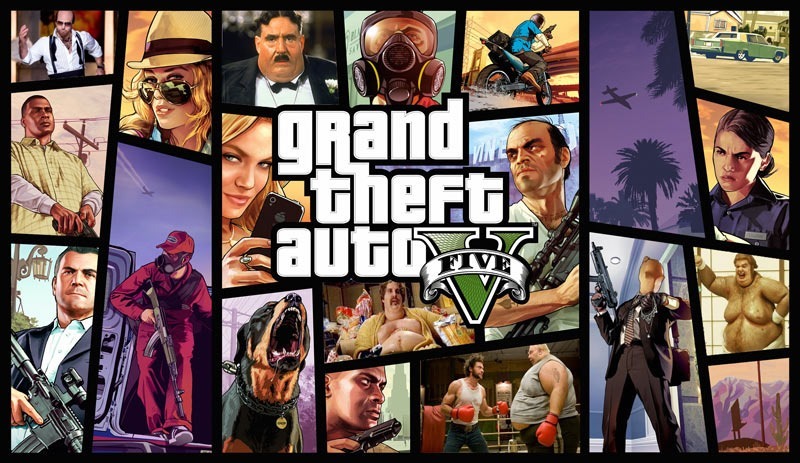 It’s a massive game, make no mistake and it could also be one of the physically biggest such titles released so far on new-gen.
Because according to one GTA Forumite who snapped a screenshot, Grand Theft Auto 5 will be taking 50 gigabytes of real eastate on the PlayStation 4, a tenth of the storage capacity that the console has available then. This is the part right here where PC games start laughing and shouting “LUXURY”. 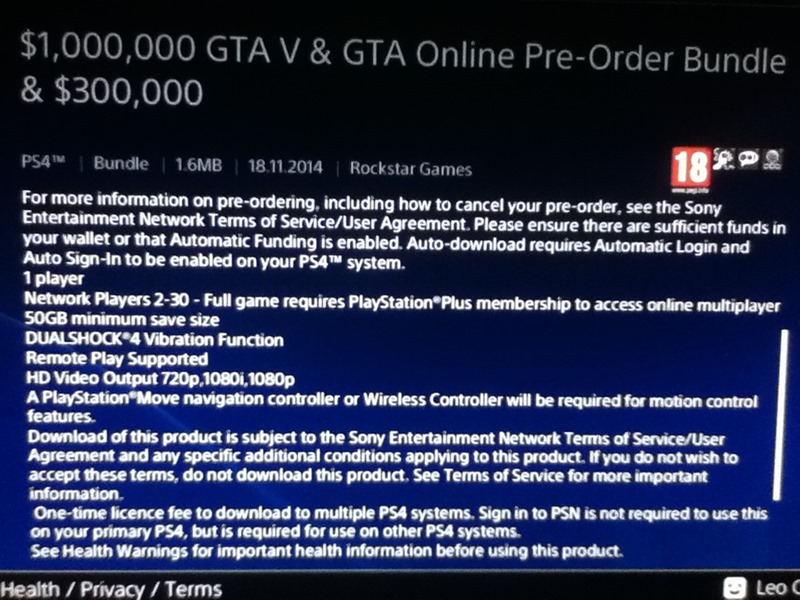 According to the listing, there’ll also be some wiggle-waggle motion support present, as it says that a “PlayStation Move navigation controller or Wireless Controller will be required for motion control features.” Combined with a rumoured first-person mode for the game, and it looks like this version of GTA V was holding back last year. The Xbox One and PS4 version of the game arrives on November 18, while the PC version is out on January 27 next year. It’s boasting all the usual improvements such as increased draw distances, more radio content. denser traffic, better foliage and more varied weather effects. A better-looking game and all that. But honestly, I’d just like a pre-load option right now that would allow me to start downloading so that I can play the game next year. Because I happen to have a puny line speed that makes all the local 4 and 10 meg kids laugh at me and kick sand in my face. Damn punks.